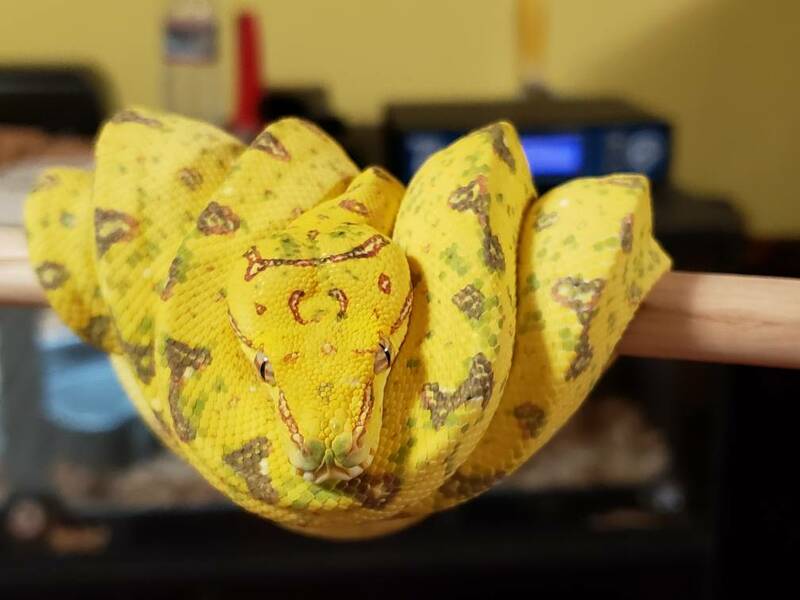 looove these, the only snake to really bite me was a young GTP just like this! Absolutely laid into me, popped me 8 or 9 times, they are so fun! 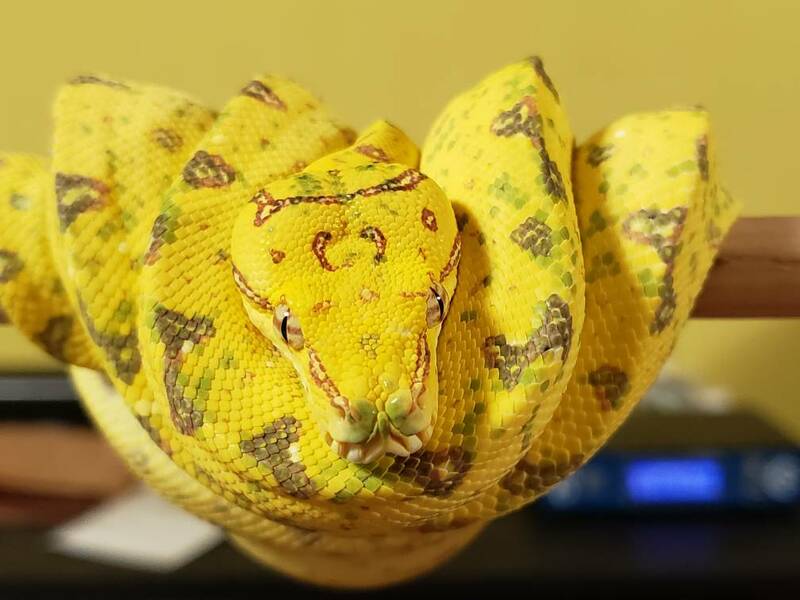 Fresh shed Pat showing green. And wondering what's going on lol. Haven't posted a pic of Pat in awhile. Pat's true colors are starting to shine through. I love the dark eyes too. little baby noodle is getting so big! Nice to see the color changes happening too. thanks for sharing! You scored with that one.